Fuchsia magellanicapainted by Leigh Ann for the Nymans Florilegium Society, features on the front cover of Botanical Illustration – the complete guide. Printed on 220gsm fine art, 100% cotton rag, acid free paper, this print is supplied with protective backing card and sealed in a clear cellophane bag. All Print orders will be signed by Leigh Ann. 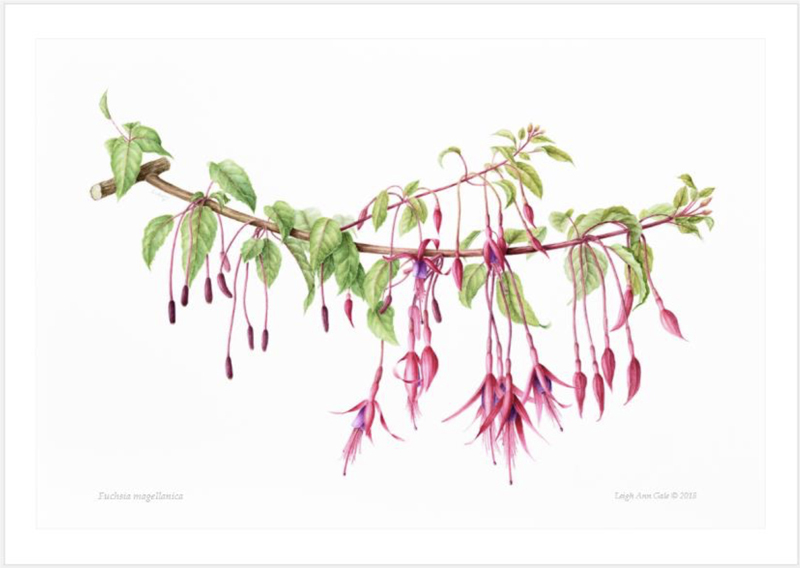 Limited to sales directly through Botanical Art & Tuition. Postage and Packing: £1.95 per order. For overseas orders, additional postage may apply.